A rather loose graining created from a piece of limed oak rift sawn oak. 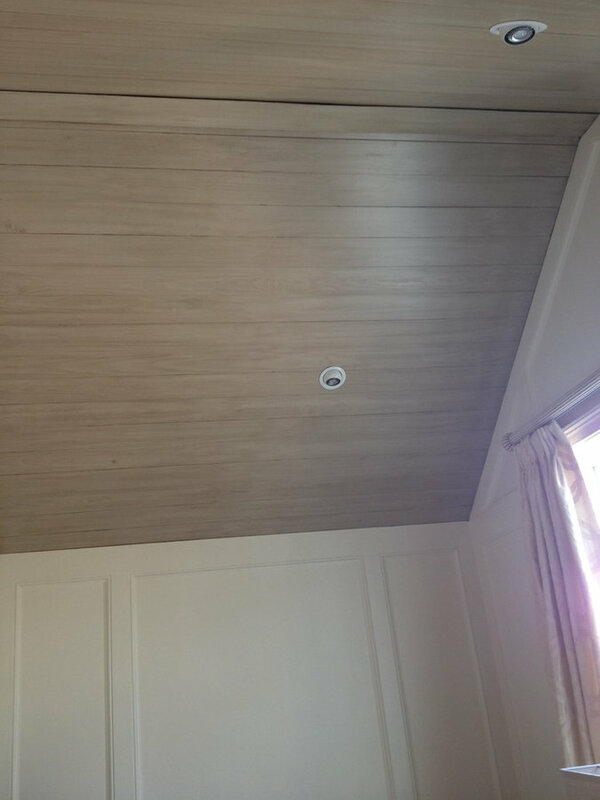 When graining or staining a ceiling we always blend the lights into the ceiling. 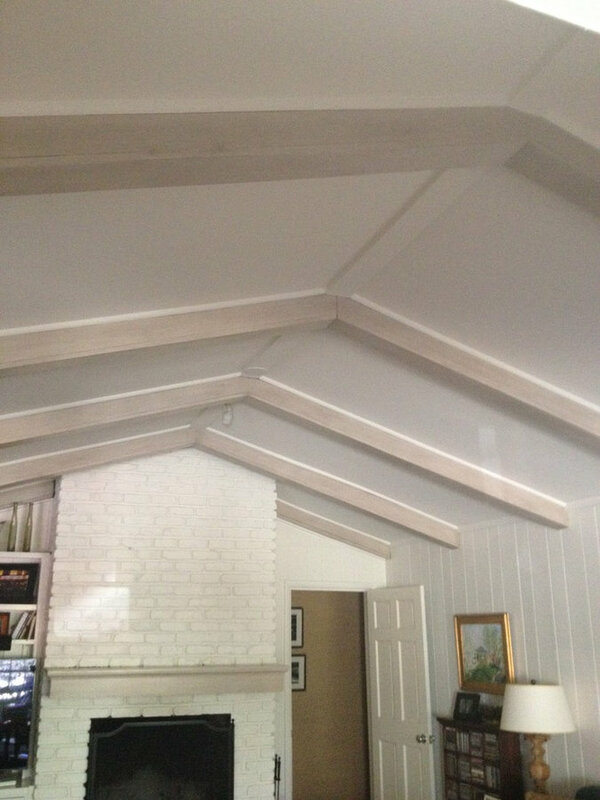 These beams were dark and heavy. 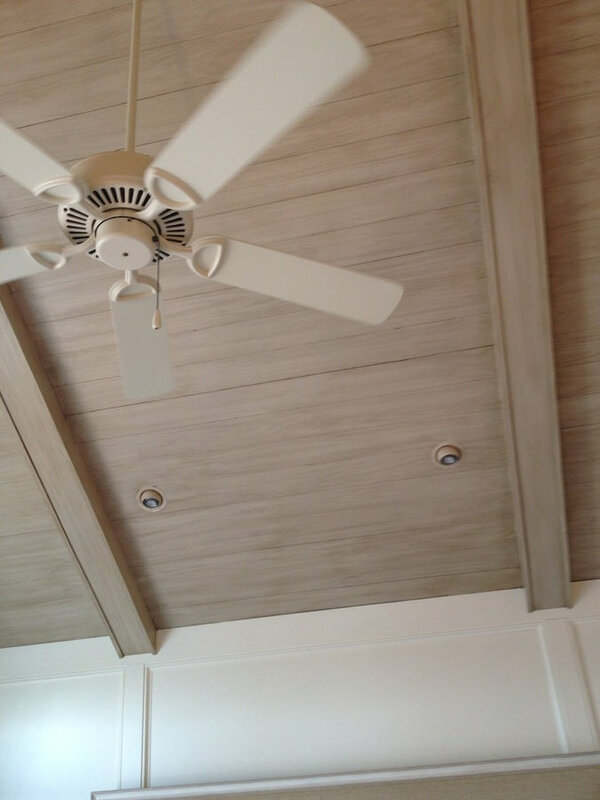 We painted and glazed them to resemble cerused or limed oak. 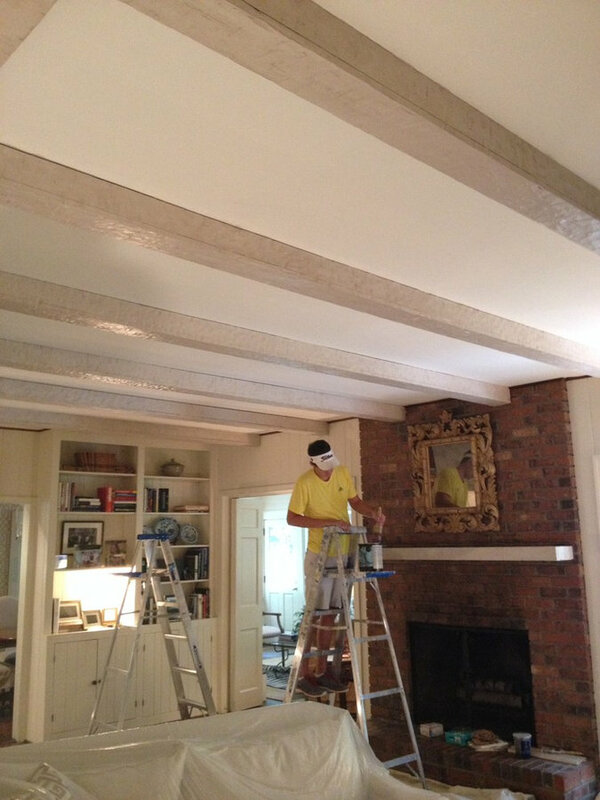 Charlie Stevens faux training beams to resemble limed oak. 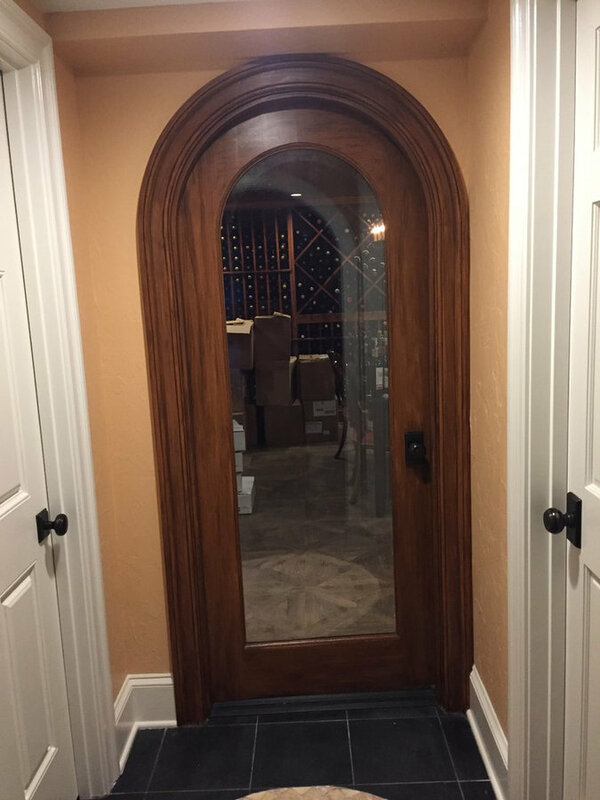 This faux graining created a classic entrance to this wine cellar.